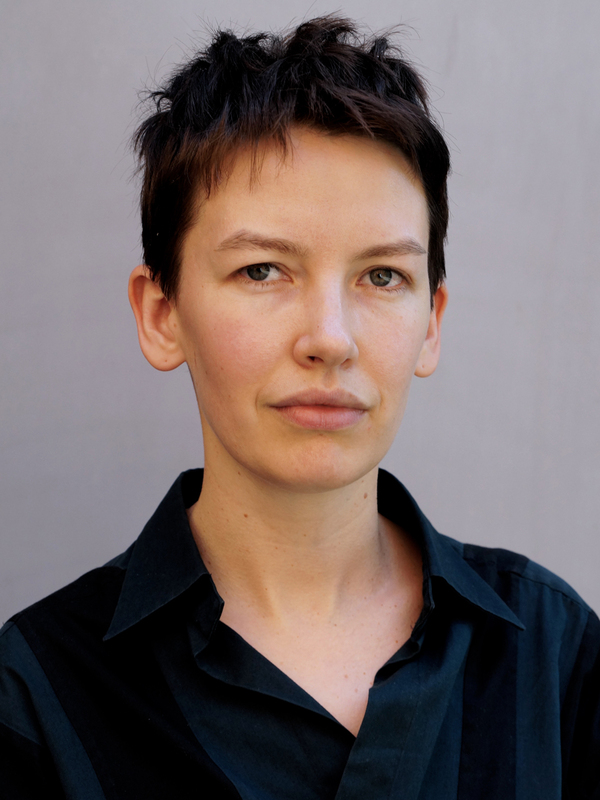 Amelia Groom graduated with First Class Honours in Cultural Studies at the University of Technology, Sydney, and in 2014 she completed a PhD in Art History & Theory at the University of Sydney, with a dissertation on ‘disorderly temporalities’ in contemporary art. She edited the Whitechapel Gallery / MIT Press ‘Documents of Contemporary Art’ anthology on TIME, and her writing has appeared in a range of journals, books, and exhibition contexts. She held a Postgraduate Teaching Fellowship during her candidature at the University of Sydney, and since 2014 she has taught on the Critical Studies program at the Sandberg Institute in Amsterdam, where she runs a writing seminar and supervises the MA theses. She was also the Theory Tutor for the 2016-2018 Master of Voice MA program at the Sandberg Institute. Her recent texts have addressed topics including lichen, pareidolia, ventriloquism, blurs, silence, and rocks. From 2018-2020 she will be a Postdoctoral Fellow at the Institute for Cultural Inquiry in Berlin, conducting research for a book-length study on stones and feminist inorganic embodiments. With a focus on the presence of rocks in the work of a number of non-male artists, this project will begin with a study of Beverly Buchanan’s work with stones in the American South in the late 1970s and early 1980s. Amelia Groom will travel to the US for Buchanan’s site-specific outdoor sculptures, which appear as geological deep-time formations, but which, in their specific situations and materialities, also turn out to be loaded with very localized historical trauma and social significance. Buchanan’s stones provoke difficult questions about heritage, inheritance, and (il)legibility, which this project will attempt to grapple with. The research travel will be supported by a grant from The Terra Foundation for American Art. On a broader theoretical level, this project looks at ‘inorganic embodiments’ as a specifically feminist concern, and proposes a politics of ‘lithofeminism’ which is geared towards a disruption of familiar distinctions between the inside and the outside. Because while minerals are supposed to form a kingdom outside of sentient life, they are also always present as part of its insides. And while rocks are sometimes posited as our most radical others – completely outside of language, vitality, agency, culture, process – Groom is working here from the premise that they are not actually atemporal, or ahistorical, or necessarily apolitical.